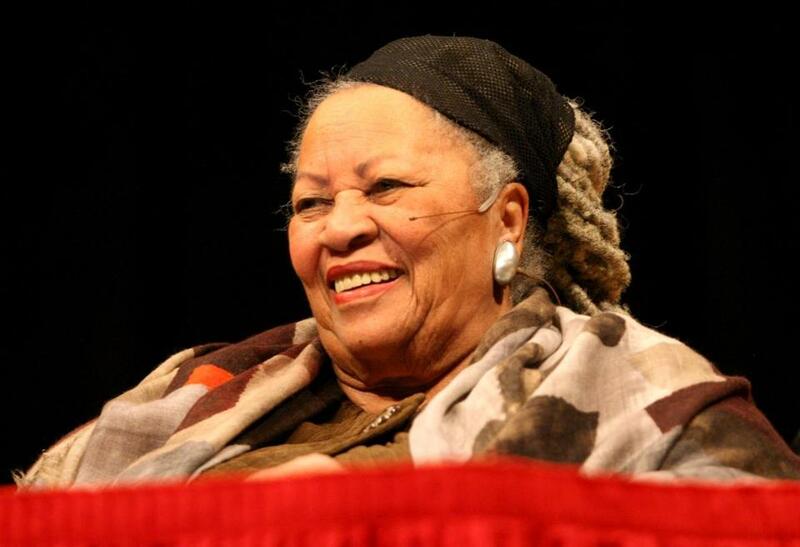 Toni Morrison at Sanders Theatre on Wednesday. Toni Morrison knows how to fill a room, both with her presence and with a crowd. Scores waited in line on Wednesday afternoon to attend Morrison’s third lecture in the six-part Charles Eliot Norton Lecture series, held at Harvard University’s Sanders Theatre. The Nobel Prize-winning author of acclaimed novels including “Beloved,” “Song of Solomon,” and “The Bluest Eye,” Morrison, now 85, spoke from a wheelchair at the front of the stage, and received a standing ovation before she even began. She mentioned her opening in the novel “Paradise:” “They shoot the white girl first. With the rest they can take their time.” “That’s meant, in my mind, to be an explosion of racial identification,” Morrison said. She spoke of her attempts at writing what she called “non-colorist” literature about black people as “very liberating and also very hard.” In one screenplay, which later turned into a short story, she said, she attempted a “racial erasure” in which, instead of noting a character’s race, she used social class as the marker. After decades in which writers tried to carve out a place for decidedly black characters, Morrison was careful to note that she is not engaged in literary whitewashing. The last lectures will take place on March 22, April 11, and April 12.